Since 1966, Elk Lake Tool Company has been filling Indexable Insert pockets in existing Cutting Tools with Precision Ground Indexable Inserts. At Elk Lake Tool we realize that each of our customers have their own individual Insert needs and requirements. This is why, We service the Cutting Tool Industry one customer at a time! This innovative approach allows us to focus our resources in the direction that best suits your Insert requirements in a prompt and cost-effective manner through planning! We offer Blanket-Order solutions to the problems of unavailability for your insert requirements. Our MRP driven order system guarantees your orders are filled and shipped on time! With the ever changing demands for increased tool life, Elk Lake Tool Company has researched and developed, proven grades and grade-coating combinations to optimize performance and cut your Insert costs! We remain committed to supplying to our customers product, that has been engineered and manufactured to meet or exceed their expectations of quality , performance and reliability at a affordable price! Elk Lake Tool has been manufacturing Indexable Inserts for the Automotive, Aero Space, Mold & Die and General Machining Industries for over 50 years. We have the manufacturing capabilities to supply precision ground Indexable Inserts, composed of typical non-coated and coated sintered carbide, cermet, advanced composite ceramics, silicon nitride and the more complex Superhard materials such as BZN* Inserts. These materials are available in Industry standard geometries and geometries designed from your part print for special applications. 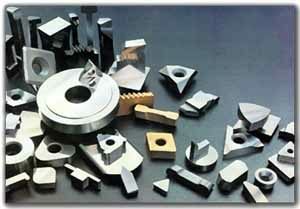 From finish turning to rough milling we can cut your insert cost without cutting your productivity. At Elk Lake Tool Our Focus Is Metal Removal!